Master of Science (Engineering Design) program supports the ‘Creation of Lifelong Learning’ core by offering knowledge-boosting opportunities to graduates who are background in Bachelor of Engineering, Bachelor of Technology and Bachelor of Science. The strengthening of the knowledge contained in this postgraduate program encompasses product design, mechanical systems and electrical systems that aims to produce expert graduates who can develop innovative solutions of a system or product by taking into account the benefits of the community and the preservation of the environment. In addition to core courses, the program provides three elective fields; mechanical system design, product design and electronic system design. These three electives comprise the current engineering requirements. The program also offers methods, models and tools for designing mechanical products and designing industrial management systems. Technical, humanitarian and economic factors are also taken into account to strengthen the course outcomes. The rapidly growing microelectronic technology, regardless of the world’s economic climate, requires experienced engineers and knowledgeable technologists. Graduates acquired knowledge of integrating intelligent control systems and mechanical and electronic devices to produce innovative consumer products. Career in product design requires the knowledge of producing products that meet the needs of the users, consumers and the community. The fast growing of product generation is now a priority. Candidates will be exposed to the processes and elements involved in the development of a product such as creativity impulse and management methods. Ability to integrate and generate advanced engineering design knowledge to develop or create innovative product and process solution in a new situation or context. Ability to assess situation and to communicate effectively in relation to research outcome, knowledge and give suggestion rationally to peers and experts in related area as well as to lead and work in team. Ability to plan and execute design work/project professionally, ethically and responsibly, taking into consideration the interest of pemegang taruh and the environment. Ability to organize and adapt contemporary knowledge in engineering design and manage obtained information effectively. Ability to manage complex matters in engineering design and identify Entrepreneurship opportunities. This program is offered on full-time basis and based on a 3-Semester Academic Year with several subjects being delivered and assessed in each semester. Assessment is based on tests, assignment, presentation, case studies and project presentation conducted throughout the semester. 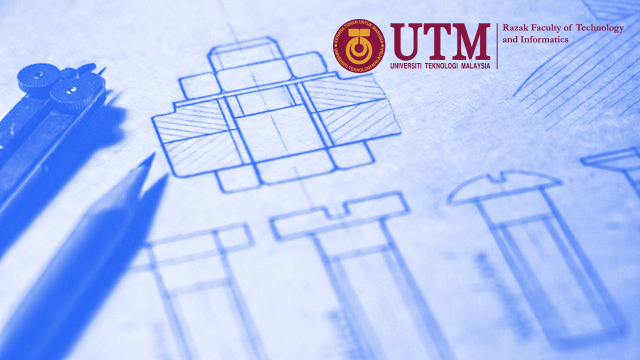 Students are required to take all subjects comprised in the core engineering design courses. Pass Master Project through oral presentation and submission of a comprehensive master project report with a maximum of 200 pages.